Mice have become the species of choice for modeling the complex interactions between tumor cells and the host environment. Mouse genetics are easily manipulated, and a growing array of technology exists for this purpose. Mouse models allow investigators to better understand causal relationships between specific genetic alterations and tumors, utilize new imaging techniques, and test novel therapies. Recent developments along these lines show great promise for the development of new anti-cancer treatments. 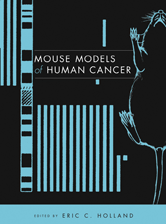 Mouse Models of Human Cancer provides researchers and students with a complete resource on the subject, systematically presenting the principles, methodologies, applications, and challenges associated with this exciting field.